What’s the most effective tactic for growing your store’s revenue? Ask 10 different stores this question, and you’ll likely get 10 different answers. 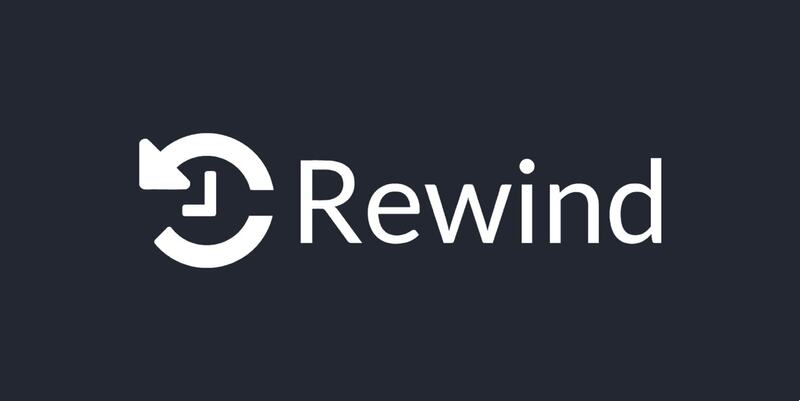 Some will say it’s all about cart abandonment campaigns, others will extol the benefits of affiliate programs, and there’ll be more than a few who highlight the huge conversion potential from video. These are all great ideas, however, they all depend on something that’s rarely covered; Something that underpins the success of each and every tactic listed above (and countless others I didn’t mention). How you structure the message for your email, affiliate outreach, video script, online product descriptions, and every other marketing tactic is the key to its success. The medium might change, but the need for a killer message does not. But here’s the issue: With each new medium comes a new set of rules to crafting effective messages, and right now, the most effective marketing medium for ecommerce is Facebook Messenger marketing. 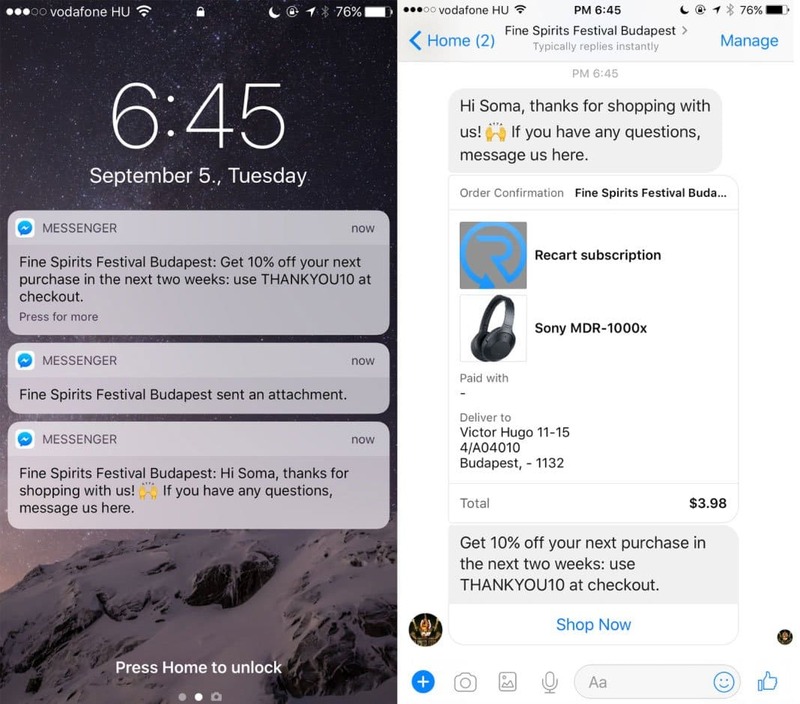 Facebook Messenger marketing and conversational commerce are blowing up, but the relatively short messages are proving to be an issue for many brands. Ensuring a message with only a fraction of the word count doesn’t lose its impact is no easy feat. Fortunately, I’ve seen thousands of messages at Recart and have a few quick tips for you to massively increase the effectiveness of your Facebook Messenger marketing campaign. But first, let’s look at why this medium is so effective. Why Bother With Facebook Messenger Marketing? The short answer to this is simple: The usage and engagement stats are insane. I’m going to compare Messenger to email here, as it’s one of the most common comparisons, and they’re very similar in terms of usage. It’s pretty well documented that there are a few billion active email addresses. According to the Radicati Group, at the end of 2017 there were around 3.7 billion email addresses worldwide. It’s worthwhile to note that this is a count of both business and personal addresses. Radicati also explain how many users have numerous accounts so that number will grow at a slightly faster rate. 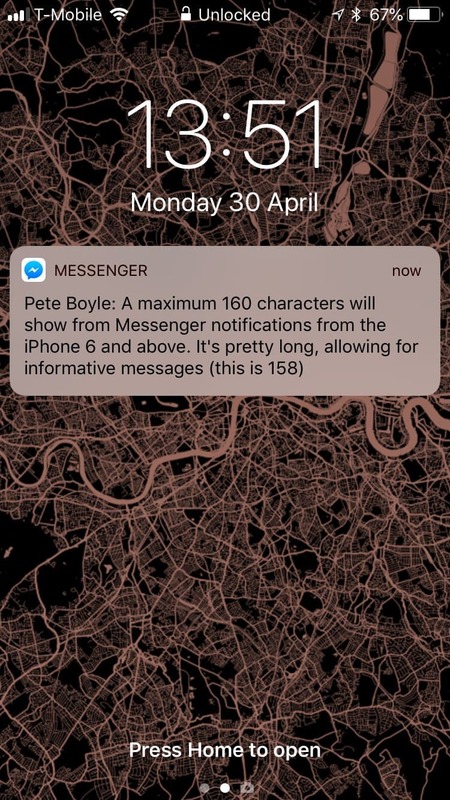 Messenger, on the other hand, doesn’t boast such a huge number. However, it’s hardly a small channel and they’ve been experiencing some insane growth. 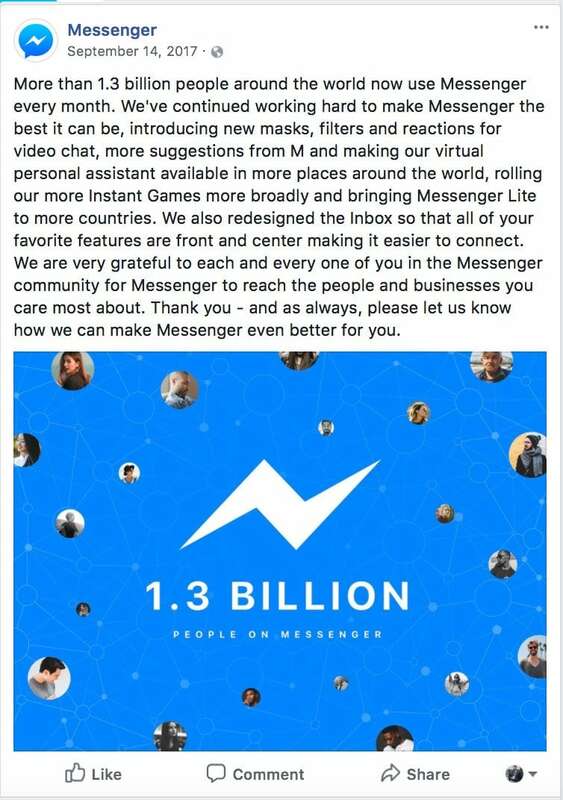 In September of 2017 Messenger reported 1.3 billion users, a 100 million increase from April of the same year. Messenger’s growth is huge, but it’s not the most interesting development. No, what’s most interesting is the engagement and what it can do for your store. There’s been plenty of studies showing just how incredible the engagement and conversion rates from Messenger are. Most compare the channel to the current ROI champion – email – and show how Messenger is outperforming it in many different areas. The short version of this is simple. Facebook Messenger is continuing to grow at an unprecedented rate and shows no signs of slowing down. Not only is their user base growing like crazy, but the engagement statistics from this real-time communication channel are so astronomically high, you’d be crazy to not have it installed on your store. 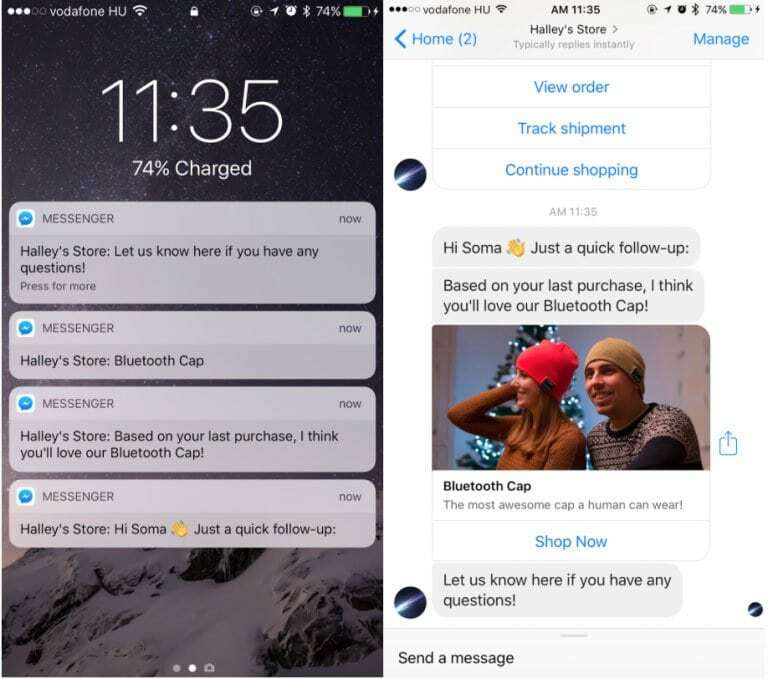 Conversational commerce and Facebook Messenger marketing are going to dominate ecommerce communication through 2018 and beyond. If you’ve not already got Facebook Messenger installed on your store, now is the time to do so. Get ahead of the curve and don’t get left behind. To ensure that you get off to the best possible start, I’m going to run through a few key components of successful Messenger campaigns. Before you jump into your new Messenger campaign, I want to outline a couple of key issues you should know and how they affect your Messenger campaigns. The first is with character limits. You get 640 characters to send in a single message. There’s nothing to stop you from going over that limit, but it’ll just show up as two distinct messages. I would, however, advise against going over the limit. FB Messenger is meant to be for short, quick communication. Not a rambling retelling of War and Peace. Greeting messages are limited to 160 characters. Which is also the maximum character length iPhones 6 and above will show on lock screen. I have, however, noticed that multiple messages sent one after the other can cut down on the text that is displayed. According to UrbanAirship, Android phones have a far lower character limit coming in on average at around 40 characters. As such, I’d recommend putting the most compelling element of your message within those first 40 characters to cover all bases. 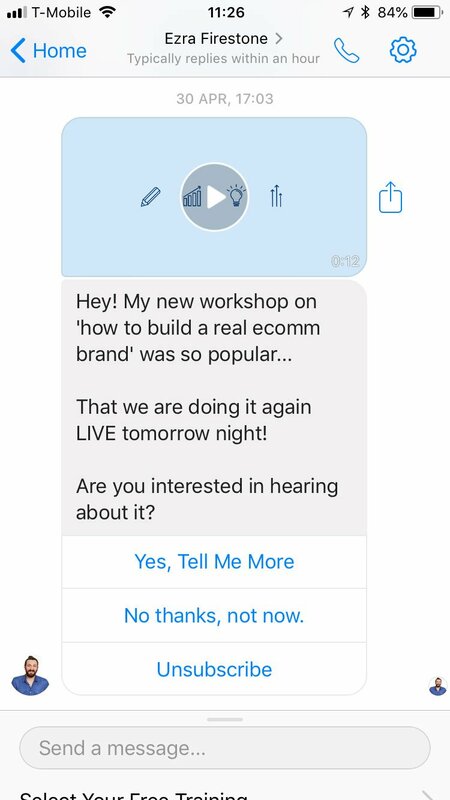 You have two methods to solicit responses from your consumers in Facebook Messenger. The first is how you talk to friends through the platform, allowing the user to simply respond by typing text to you. 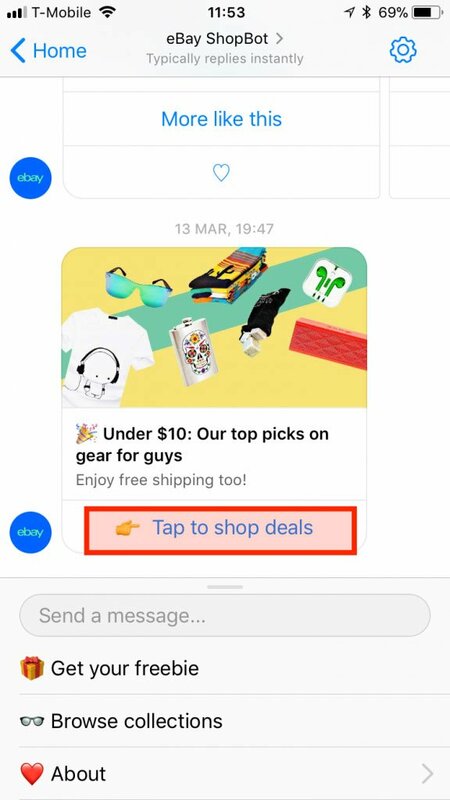 This is great if you’re trying to help solve a problem or get a deeper understanding of your audience, however, if you’re looking to tempt your users down a purchase funnel then you should make use of Messenger’s buttons. These buttons, when clicked, fulfill two key actions within Messenger. They help the user progress their journey. They reset Facebook’s 24-hour rule which prevents you from sending promotional material outside a 24-hour window. 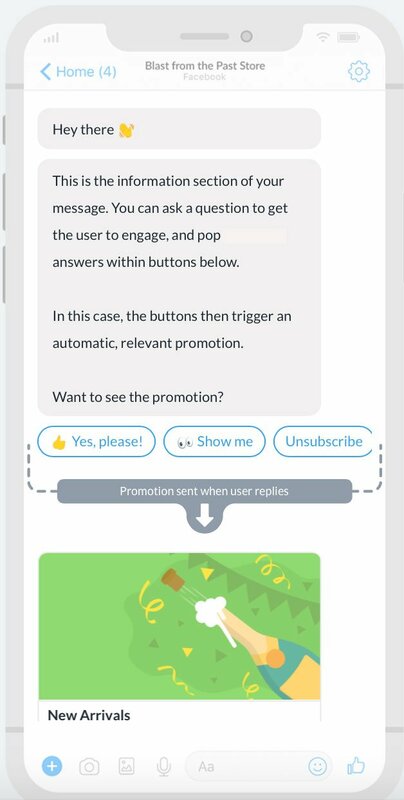 Here’s what the buttons within a message look like. These are no different in Messenger to email, the only difference is in how CTAs are presented as buttons. Links often work a little differently in Messenger. Rather than opening your browser app so you can check out the website, the button links will open the link within Messenger. 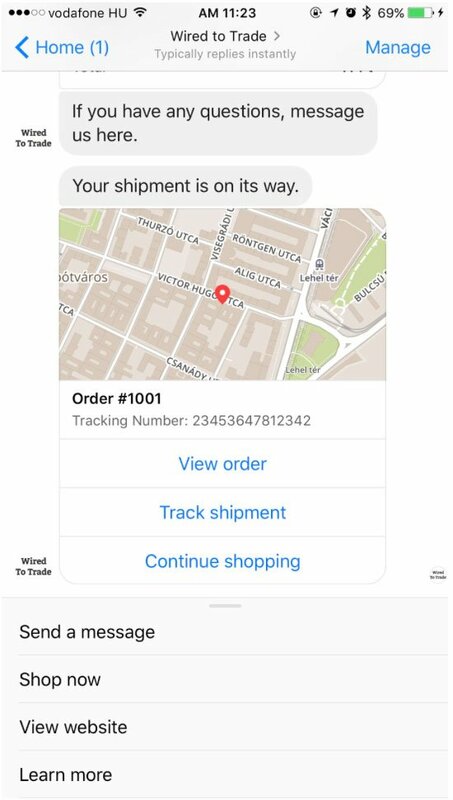 This is great for ecommerce brands because you can send something like a cart abandonment message which opens the checkout page within Messenger. That means there’s no issues with flipping between tabs or opening new apps. It’s a much more streamlined way of recovering lost carts. Here’s an example of it in action from our test store. Now that the basics are out of the way, let’s look at how you can leverage this insanely high engagement channel by making the most of Messenger’s formatting. Email has held the position as top ROI channel because it’s one of the only channels providing a direct line of communication your users. With things like social media, PPC, and content marketing, you’re throwing things out into the ether of the web hoping they find some traction. But with email, you’re able to contact interested parties directly. It’s a one-to-one communication channel, but it’s far from perfect. Email is talking at the consumer. It’s the digital equivalent of a sales rep who has a sales pitch figured out and won’t let you ask questions until the whole thing is done. Messenger, on the other hand, is what you want from a sales rep. It’s a conversation. One which allows the user to lead the conversation so you can recommend the right product for them. It may sound like a minor difference, but it has a major impact. Let’s put it in real terms. Imagine a user signs up for information on a page dedicated to selling watches. You follow up a few days later with an incredible sales email that’s pushing your top seller — a new men’s watch. The thing is, the person you’re sending this to isn’t after a man’s watch. They could have been looking for women’s watches, replacement straps, or other associated watch goods. You’re not going to figure this out until your emails aren’t converting. Sure, you could kick off a longer email chain to try and figure out the perfect product for that user, but that’s a long process. And with email’s poor open rates, there’s a real chance key emails will fall through the cracks. Compare that to this example for the eBay store. Within seconds I can let the chatbot know exactly what it is I’m looking for so they can respond with the most relevant products for me. It does the job of getting to the heart of the user’s needs within seconds. These simple conversations are quick to complete, streamline the purchase journey, and lead to more conversions. But more than that, they help the user find the perfect product for them which is going to reduce the number of returns – saving you time and money. That is, in my opinion, the key differentiator for Messenger. The one thing that makes it so much more useful than email. These conversations not only help you sell more of the right products, but they also build better relationships because the service is so much better. Request a response from the user to help you better understand them. Are more helpful than sales related. These are ideal places to start your Messenger campaigns. Don’t think that just because this is a new channel you have to start your campaigns from scratch. Messenger might be new, but the goals and tactics between it and email are remarkably similar. We recommend taking a look at the email campaigns that are already providing a high ROI for you and adapting them to Messenger. Start with the highest ROI as a test, and go from there. If you’re just starting out or not quite sure what provides the best ROI, I’d say to start with a cart abandonment campaign. 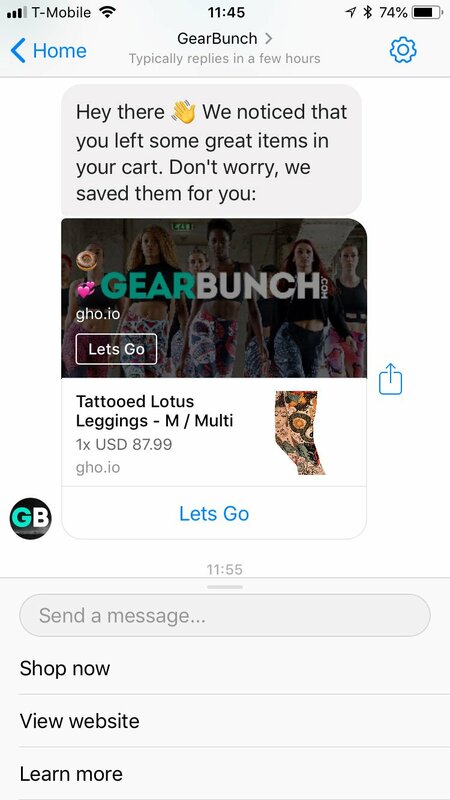 When we’ve tested Messenger against email for cart abandonment we’ve seen far better results through Messenger. These are the results from an 18 day test we completed. Just remember, you can’t copy and paste the messages over. Messenger might be a similar channel, but it comes with its own rules. Whilst the engagement stats from Messenger are much higher than email, I still wouldn’t recommend moving everything over to the channel exclusively. What I would recommend is for you to run the two as a collaborative effort. Keep your email campaigns running, but add Messenger into the mix. Just be sure to stagger your sends so you’re not bombarding users with messages across channels within 10 minutes of one another. A great example of this is from Ezra Firestone at SmartMarketer. 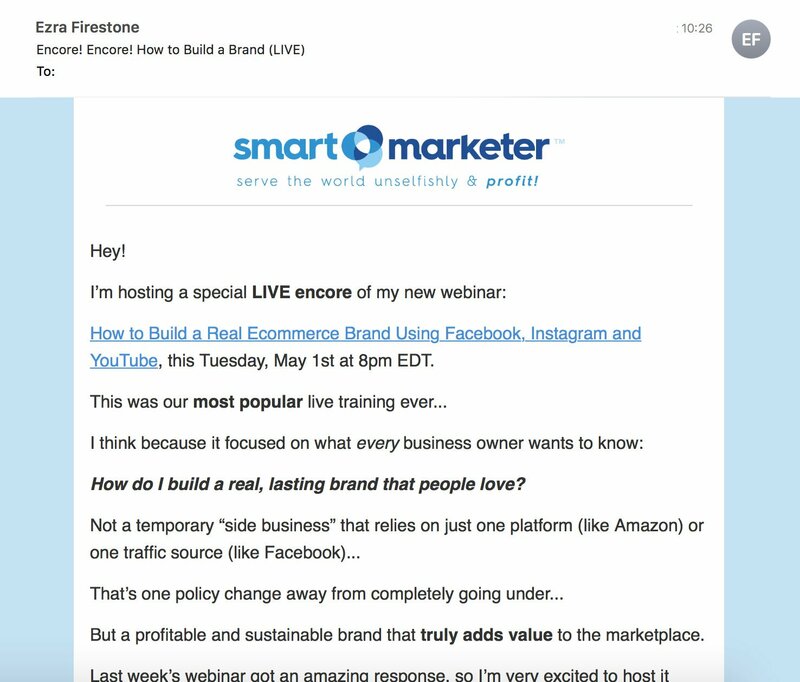 To help him promote things like his webinars, he staggers both email and Messenger sends. You can see in the below images how the message differs in format between the two channels but is still offering the same value and CTA. 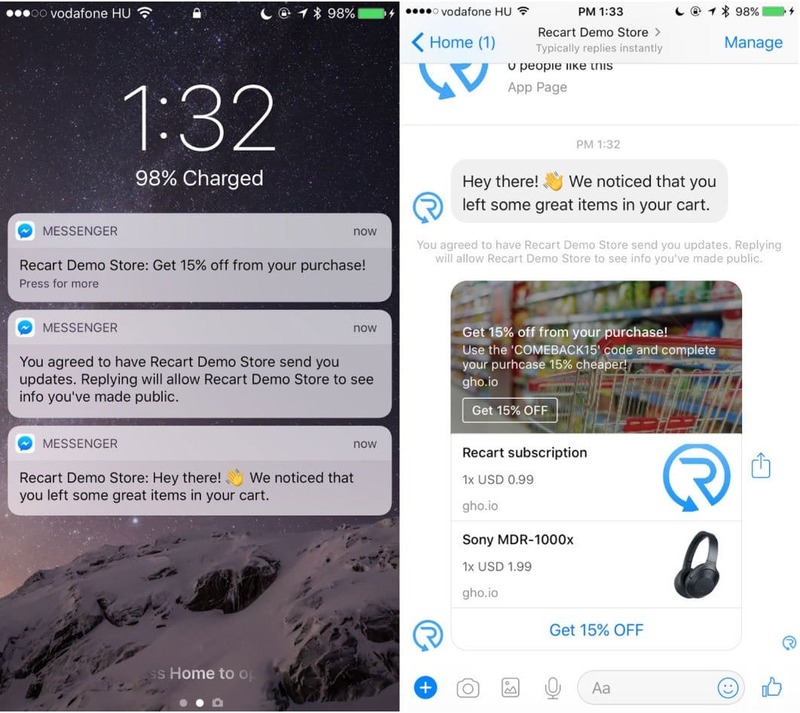 You can see that the messages are the same, however, for Messenger, Ezra has cut it down to the bare essentials and utilized Messenger’s easy click buttons to start the conversation and nurture through the user journey. 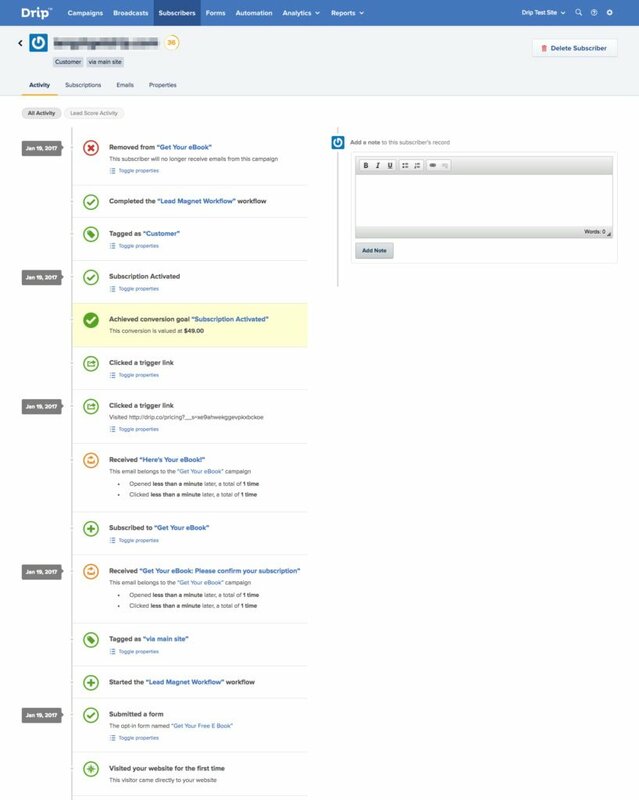 This is what you need to test with your highest converting campaign. Adapt it to Messenger, and run them against one another as a test. I’d bet my bottom dollar Messenger will outperform your emails within a month. There’s a ton of email advice out there that details how to increase opens, clicks, responses, and conversions. It’s all great information and, generally speaking, can be adapted directly over to Messenger. I’ve detailed some of the most relevant pieces of email marketing advice below, and how they can be adapted to Messenger. I mentioned earlier how you should be giving your users the ability to converse with you, but you should also make sure your tone is conversational. With email marketing, it’s important to appear approachable and friendly. With Messenger, it’s imperative you do the same. As a result, you’ve got maybe 1-2 sentences to persuade people to respond or take an action. If you’re stuck in the mindset of being overly professional or business-formal, you’ll never see any results. You have to break it down to be far more casual. Maybe more casual than you’re comfortable with, because that’s what people are used to on Messenger platforms. These are apps that are used for communication with friends, and that’s how you have to appear. I’m not talking about a massive redesign of your brand or its structure. I’m talking about something similar to an audience persona, but for your company. Most people have an idea of their branding strategy. They’ll know that their brand is supposed to be fun/serious/informative/helpful, or whatever. The problem is, it’s often difficult to adapt that to individual messages. You should be familiar with the concept of marketing personas. The idea of creating an “ideal overview” of different segments and targets so you can more effectively market to them. We dive deep into what marketing personas are and how to use them in our Ecommerce Branding Guide. The concept here is no different, but you place your brand at the centre. I often find using a well known public image or character as a great way to start this off. For example, Captain America wouldn’t talk to customers the same way as Tony Stark, right? Then dial it up to 11. Seriously. Think of all the brands out there with memorable marketing and you’ll notice that they do it because they’re a little over the top. Sure, it’ll piss a few people off, but it’ll also attract real fans to you. And that’s what you want. All the brands you remember, for good or bad, are the ones who take their brand personality to the next level. Make sure your brand voice shines in every message. Writing messages isn’t the same as writing a 3000+ word sales page or promotional email. It’s more closely related to writing a message to your friends. Once you’ve got your tone sorted, don’t be afraid to get a little chummy with your users. Use slang, contractions, and (if it fits the brand) a little coarse language. Do whatever you can to make your brand feel more like a person and less like a faceless corporate entity. If you’re relying on text alone you’re missing out. A wall of text is intimidating for users. And when it comes to Messenger, a wall of text can be as little as 130 characters. You’ve got to break it up with the effective use of emojis and images. In other channels, emojis are proven to increase engagement. Emojis work and they’re far more important in a medium that is so heavily reliant on them. Make sure you’re weaving relevant emojis into your messages. If a picture’s worth a thousand words, gifs must be worth millions. Popping these in not only helps make the messages more engaging but can help to bolster the message. A well chosen image can communicate exactly what you want to say with nothing more than a glance. In most businesses, you’d probably get away with using nothing more than funny gifs from pop culture. But in ecommerce, you’ll see better results if you focus on the product. Much like with your landing and product pages, high-quality product images are going to reinforce the user’s perception of your product’s quality. Here’s an example from Gearbunch in their cart abandonment campaigns. Images and gifs are key to making your messages a little more fun and engaging. Make sure that you don’t overuse them though, and try to get them to fit with your overall brand image. The smartest use of emojis, gifs, and images is not just to break up text-only messages. Check some of the biggest brands around and you’ll see how they use them as directional cues to draw attention to the key actions they want users to take. When studying directional cues, ConversionXL found elements as simple as arrows drew more user attention to conversion elements like form fields. The same concept can be applied in your Messenger campaigns. In the example below, you can see how eBay’s chat uses emojis to draw attention to the buttons they want you to click. Don’t just think of gifs, images and emojis as simple methods to break up your content. When used well, they can drastically improve the conversion rate of your messages by directing user attention to key conversion actions. It’s become a tenet of good marketing: Including personal elements like your user’s first name in your correspondence is a proven method to increase open and click rates. But if we’re being honest, that’s the most basic of steps to take. Sure it can help, but it’s hardly providing a personalized experience. Email personalization relies on triggers to send the most relevant content. You collect an email address, track the user’s action, and send them a relevant email to get them to convert. The below is an example from Drip. As of right now, Messenger doesn’t offer this level of personalization. What you can do is set up triggered sequences based on key events like cart abandonment, new subscriber welcomes, and even purchase follow-ups. Here’s a quick break down of the kind of triggers Recart permits and examples of the messages you can send. Messenger might not have the advanced personalization and segmentation associated with email marketing, but it goes far beyond simply adding the user’s first name to the message. Implementing triggered campaigns ensures a more personalized and relevant message for the user. Implement these for a quick and easy boost to your overall sales. Facebook Messenger marketing is taking off in a huge way. It’s going to dominate the rest of 2018 and will become one of the chief conversion channels beyond this year. If you check any of the larger brands, you’ll see they’re putting a lot of money into developing killer chat features. You could ignore these signs and continue as you have been, but you risk getting left behind and leaving yourself with a huge gap to make up. Don’t let the comparative lack of best practices and detailed case studies stop you from getting started today. There’s no better time to get your new Facebook Messenger marketing campaign off the ground, and to help you achieve exactly that, we’re offering readers of A Better Lemonade Stand an extended free trial of 14 days with Recart. To claim your extended free trial, simply click here and sign up today. 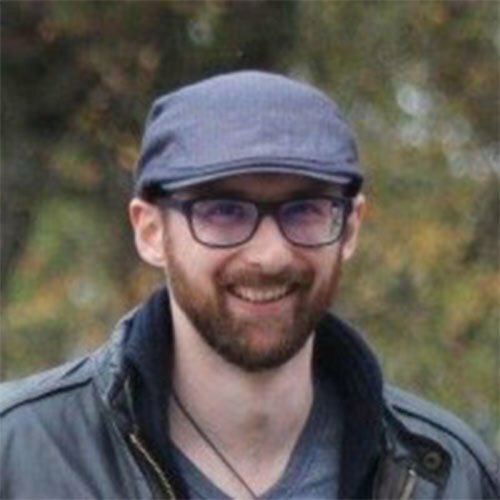 Pete Boyle is a conversion optimization specialist and content manager/chief copywriter for Recart, one of the top paid apps on Shopify that's already helped its users recapture over $80,000,000 in lost revenue. Check out Recart today and start recovering the money your store is leaking. Thanks for the kind words Karen. Happy to have helped! Genius marketing ideas. A great way to touch individual customers by FB messenger. Nice idea …I am going to use this for my customers royalty website.